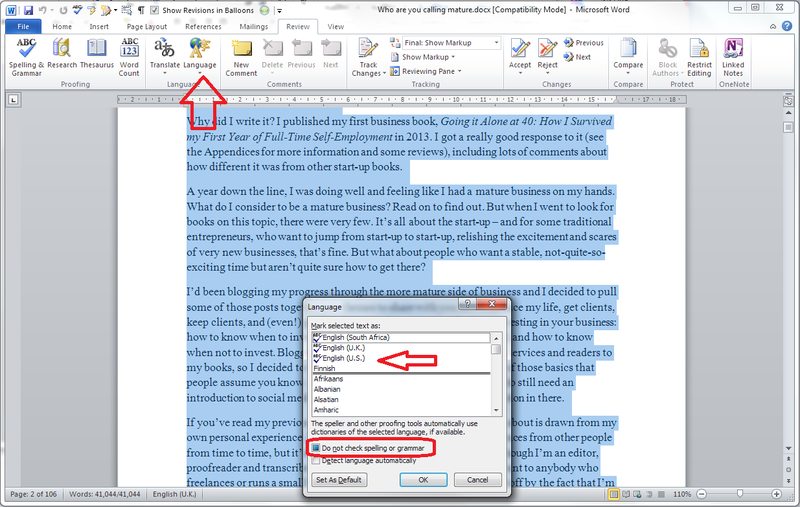 This article tells you how to change the language of your document in Word 2007, 2010 or 2013. Why would I want to change the language of my Word document? The language that is set for your Word document sets the language in which the spelling and grammar checks work. If you are working, say, at a university that uses UK English, and you use a version of Word that’s set for US English, when you run a spell check (or if you ask Word to highlight errors as you go along), the spelling will default to American English. You will submit your document in the incorrect version of the language. 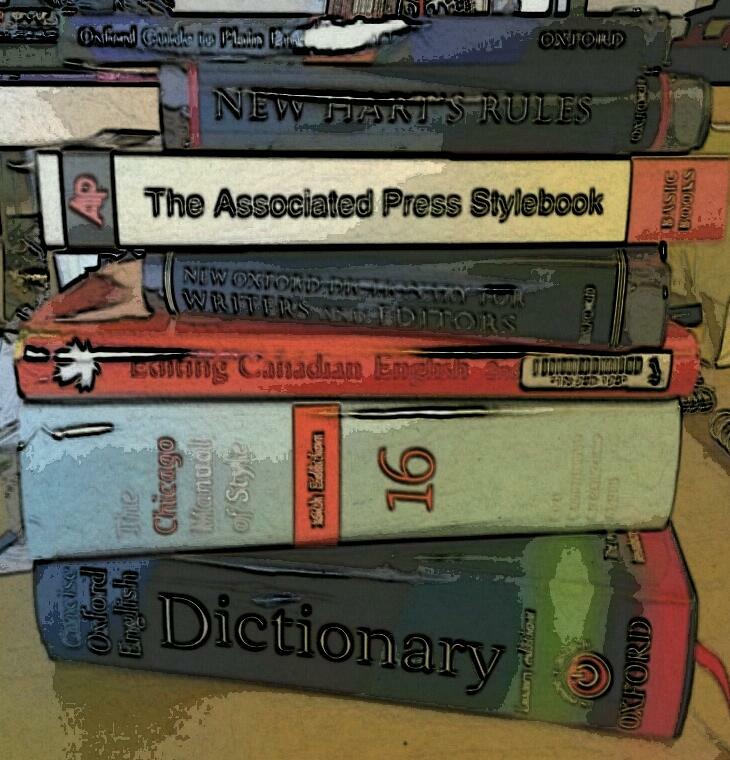 This can really matter if you’re instructed to use one particular version, and will matter more as you move into submitting articles for journals (which may specify either version of English) or working for a company that uses British or American spelling as standard. If you’re working in the field of localisation, or even just, as I used to, writing documents for the US and UK markets simultaneously, making sure that the language set for your document matches the language you’re working in means that you can run final checks and make sure that you’re using the appropriate spelling. If your document has come from another country which uses a language other than English, for example if you’re working on a document prepared by a translator working out of their own language, you really need to change the language to English before you start editing it, or when you run a final spell check, every word will be highlighted and confusion will ensue. So it’s important to make sure that the language of your document matches the language in which you wish to work. I receive many documents to proofread which are set for US English but are for a student at a UK university – a quick set of actions is all that it takes, but I fear that students will be penalised if they use the inappropriate spellings for the context. How do I view and change the language in my document? From here, you can easily change the language of selected text or the whole document (see below). But first we’ll look at how to add this useful display if it’s not showing. How do I make the language display on my status bar? If the language isn’t showing on your status bar and you want to see it there, right-click anywhere on the lower status bar. A menu should appear with lots of options to tick. 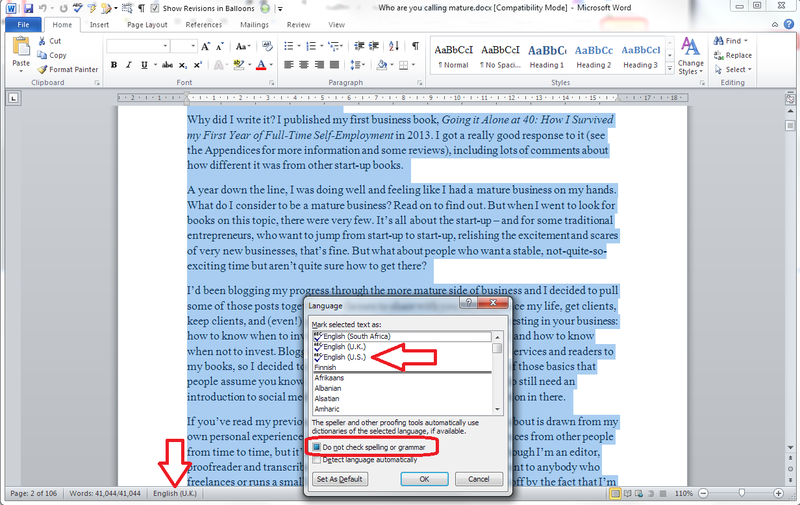 Any item that is ticked will appear on the status bar – this is also useful if you want to view your word count there. Click on Language or tick the tick-box next to it, and your language will appear for ever more in the bottom status bar. This works exactly the same for Word 2007, 2010 and 2013. How do I change the language using the status bar display? First you need to highlight the text whose language you want to change. You might want to highlight parts of the document (for example if it’s a dual translation in two languages and you just want to set one to UK English, or it’s a localisation and you just want to change one column of a two-column original and target language table), keeping the control key pressed down if you want to select several individual blocks of text. (or you might press the Select All button on your Quick Access Toolbar if you’ve added it there (marked with an arrow on the screenshot above) – see my article on Adding Buttons to the QAT if you need to know how to do that). Note: Do not check spelling or grammar has a blue square next to it. Click in this square twice so that first a tick, then nothing, appears in the square. Now click on OK. Your language will have changed to the language you selected. How do I change the language using the menus in the ribbon? If you don’t choose to display the language in the lower status bar, you can access it via the menus in the ribbon at the top of the screen instead. This works slightly differently in Word 2007, 2010 and 2013, so I’ll show you screenshots of all three. How do I make the language appear in the lower status bar of my document? 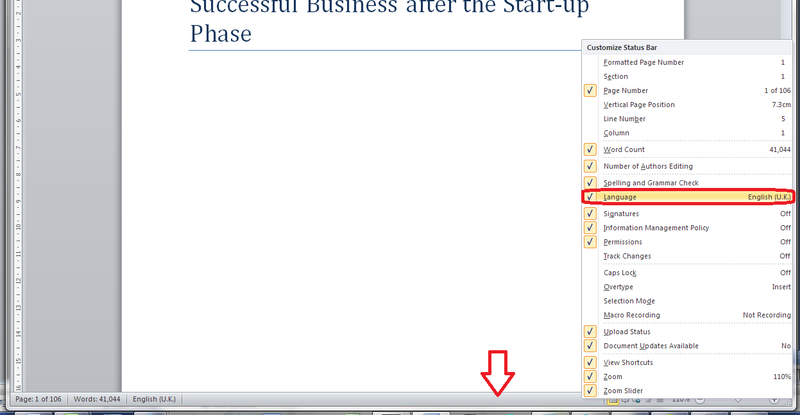 You may find yourself unable to display the language in the lower status bar, however much you right click and tell Word to display it. Please pop over to this article if you’re having this problem, where you will find screen prints that will walk you through the process. How do I change the language in my comments balloons? You may find that the language in your comments balloons remains the original language of the document. If you need to change the language in your comments, see this article. 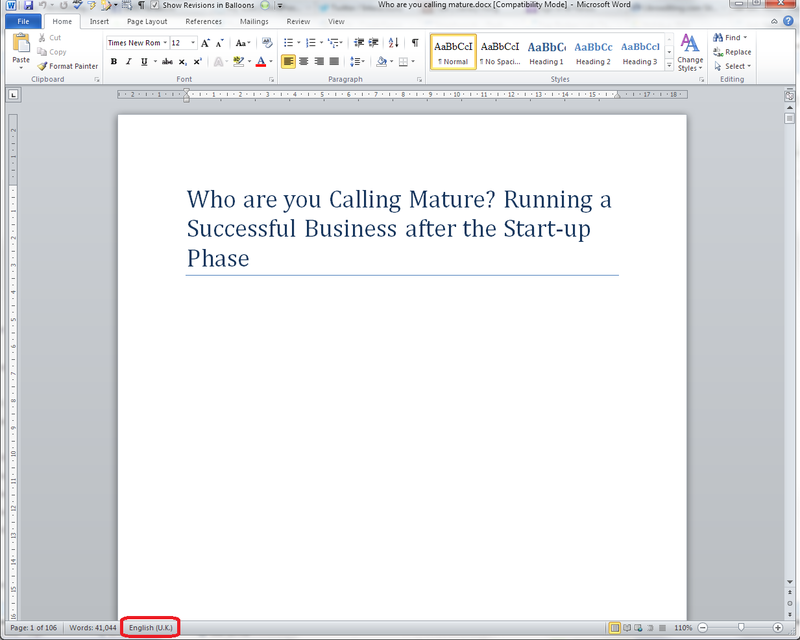 In this article, I’ve shown you how to change the language of your Word document. If you have found this useful, please leave a comment and click on the sharing buttons below. Thank you! Not at all. The cohousing project is moving more slowly than I had hoped (but it’s still moving—ask again next year). 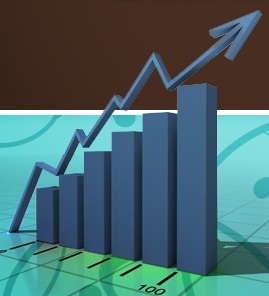 And my business is growing much faster than I anticipated. For the last several months I’ve had to turn away new prospects with interesting projects that I just didn’t have the time to take on. A few have agreed to wait for me, so my calendar is full for months to come. Book publishing continues to undergo massive changes worldwide in terms of who publishes, how they publish, what they publish, and how they market it. Ebooks are clearly here to stay, and in some areas they dominate. The cost of putting out an ebook without benefit of professional editing has dropped essentially to zero, so the market is flooded with unedited dreck. This provides a strong incentive for those who want to keep their heads above water to seek help from people like me. At the same time, the cost of print continues to plummet, so it gets more and more affordable to produce a high-quality printed book. What has remained the same is people’s aspirations become published authors. I hope that never goes away. Well, I’ve learned that having a docking station is very convenient, and I wish I’d bought one several years ago. I’ve updated or added a number of technical skills, but that’s a constant in my life. And of course I’ve continued to learn from my clients, which is one of the great joys of this business. Still none. People have to find their own way and learn from their own mistakes, I fear. I’ve quit making predictions. I just take it as it comes.